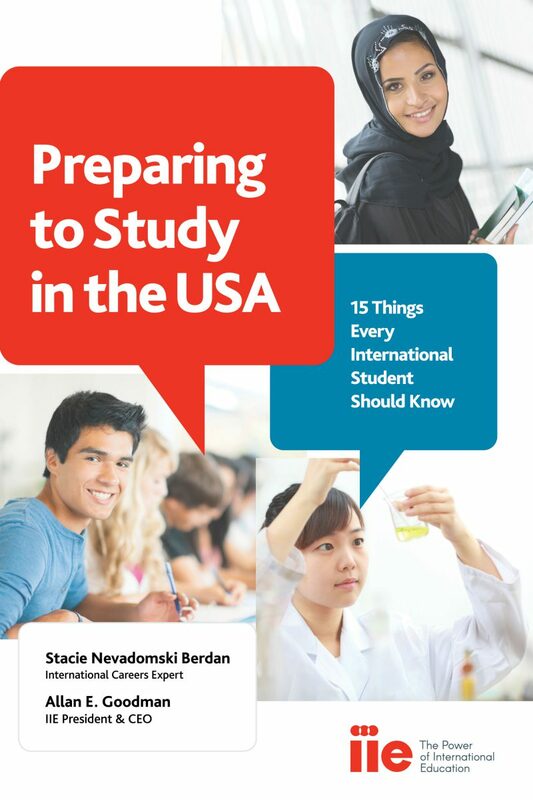 My most recent book, Preparing to Study in the USA: 15 Things Every International Student Should Know. is a BESTSELLER! and is being re-released today by IIE. The book remains in hot demand as the USA continues to welcome more international students than any other country, but the same rich, dynamic system that draws these students can be a source of complexity and confusion. This book goes deeper, responding to questions that need answers but are too often overlooked: How do I get involved on campus? Why are sports so prevalent in the USA? Why don’t American students always go to class? Make sure that your students are prepared to navigate and appreciate their USA educational experience! Available as an e-book in English and Chinese from major vendors through IIE’s bookstore. And soon to be released in Arabic. ← What Should Students Do with Their Language Skills?